When your grass goes from green to brown in the winter or summer, it can be difficult to determine if it is simply dormant or if it is dead. You may need to wait until the seasons change to know for sure, but it is important to at least try to determine if your grass is dormant or dead so that you will know whether you should continue to care for your lawn or if you would just be wasting water and your time. 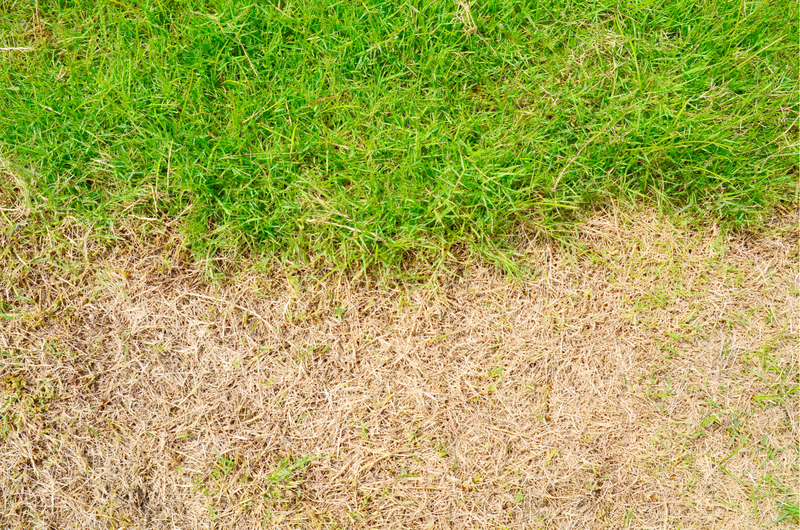 Since a dormant lawn will return to health when weather conditions improve but a dead lawn will need to be removed and replaced, it is always best to confirm the current state of your lawn before taking any drastic (and expensive) measures. When your grass goes dormant, it is conserving energy and water to stay alive. Instead of sending vital resources to developing lush, green blades of grass, your lawn is sending those resources to the roots and crowns to keep them alive during times of stress. In many parts of the country, natural grass lawns go dormant during the winter when the temperatures drop, and then come back as the temperature rises in spring. However, here in Southern California, natural grass lawns usually thrive during the winter and go dormant during the hotter months of summer or during times of drought. When a natural grass lawn goes dormant, it can generally stay in that state for up to about a month before it starts dying. Unfortunately, California’s summer heat usually lasts longer than a month, which means folks with natural grass have to significantly increase their lawn irrigation during the summer, or they may need to replace some or all of their grass once drought conditions improve or temperatures lower in fall. Dead grass usually looks the same as dormant grass, but it does not come back when the weather improves or when you take measures to revive it. If your grass is dead, you will need to reseed or replace the grass to once again enjoy a thriving, green lawn. It can be difficult to tell the difference between dormant grass and dead grass, since both appear brown and lifeless. The first thing to note is that grass lawns generally go completely dormant in a uniform manner; therefore, if your grass looks patchy or if you have brown spots among fields of green, then you likely have a different problem. If your lawn is patchy or has spots that look dead, or if it looks like just one section of your lawn may be dormant, the first thing to check is your irrigation system. It is possible for just one section of grass to go dormant if that section is not receiving water when the rest of the lawn is being irrigated. And, of course, it is also possible for your grass to die in sections due to lack of water. If your irrigation system is functioning properly, then your problem is probably not dormancy. This means that you will need to look into other possible causes, such as disease, pests or your pets frequenting those areas for bathroom activities. If your lawn is not patchy and is uniformly brown, then you will need to take additional steps to determine whether it is dormant or dead. The most common way to differentiate between dead grass and dormant grass is to simply increase irrigation for a few days. If your lawn is dormant, it should begin to turn green again. If it stays brown, it is probably dead. However, there are some instances, such as extreme heat or drought, in which a few days of extra water will not be enough to bring back your lawn. Therefore, even if you think your lawn is dead, it is generally best to wait for better weather conditions so that you can try the extra irrigation test again and see if it works. Alternatively, if you live in an area where grass goes dormant in winter, you may need to wait until the temperature rises in spring to confirm whether you have dormant grass vs dead grass. If it is just dormant, then it will naturally begin to come back in the spring. Another test you can use to determine if you have dormant grass or dead grass is to pull some grass out. Dead grass comes out easily, while dormant grass will have some resistance and feel more like pulling out healthy grass. Whether your lawn naturally goes dormant in winter or you encourage it to go dormant during the summer to conserve water, it will still require care. While you will not have to mow it, aerate it or spend as much time watering it, a natural grass lawn requires regular maintenance when it is dormant just like it does when it is thriving. Your primary tasks when caring for a dormant lawn is to reduce the risk of damage by limiting traffic, continue to pull weeds so that they are not using water and nutrients your grass needs to survive, and water it just often enough so that it does not die. You do not want to fertilize your lawn during this time and you should avoid herbicides for weed control while your grass is dormant. Revive dormant grass by limiting traffic, reseeding or replacing patches that do not come back, and limiting traffic by keeping kids, pets and guests off of the lawn. It is best to not mow your lawn and to allow the longer grass blades to reduce loss of moisture through evaporation. Once it begins to come back, it is okay to mow it at a high setting, such as about 3.5 inches. While it may be tempting to chop off the brown blade tops to get down to the green, do not do this. Allow the new blades to grow up through the brown and keep mowing to a minimum so that you do not further stress your lawn. Whether your grass is dead or dormant, it is still brown. It still has an unappealing look and feel, no one is going to want to hang out on it, and it is certainly not doing anything for your home’s curb appeal. 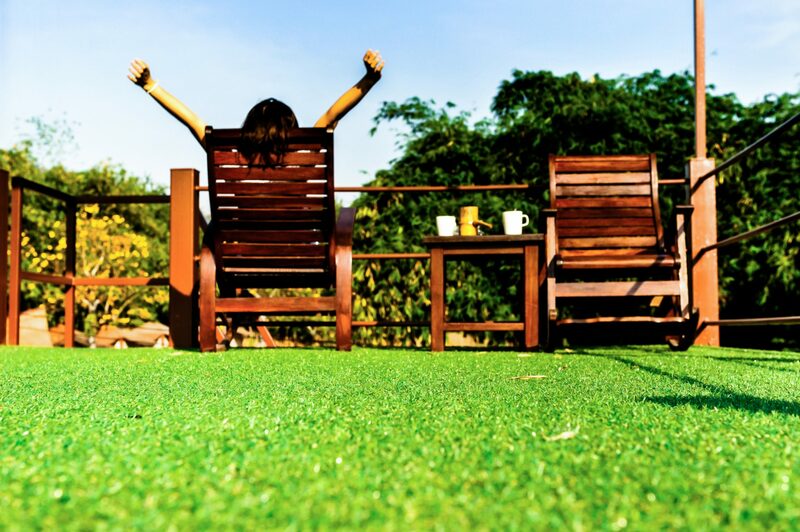 Plus, when a natural grass lawn goes dormant, you still must take care of it even when it is ugly and taking away from your outdoor living areas. In Southern California, we can enjoy our outdoor living spaces any time of the year, so why would we choose landscaping features that render large sections of our yards unusable for months at a time? If you would like to have a lush, green lawn that is just as inviting and just as attractive in August as it is in May, it is time to replace your lawn with low-maintenance artificial turf that looks, feels and functions like natural grass. No matter how bad the drought conditions may be or how long the thermometer stays past 100 degrees, synthetic grass always stays green. If you are ready to make the switch and start spending more time enjoying your lawn than maintaining it, give us a call and speak to one of our design consultants or request a quote today.